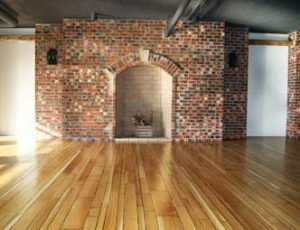 Your new oak floor was not cheap, so you want it to remain looking like new for as long as possible. 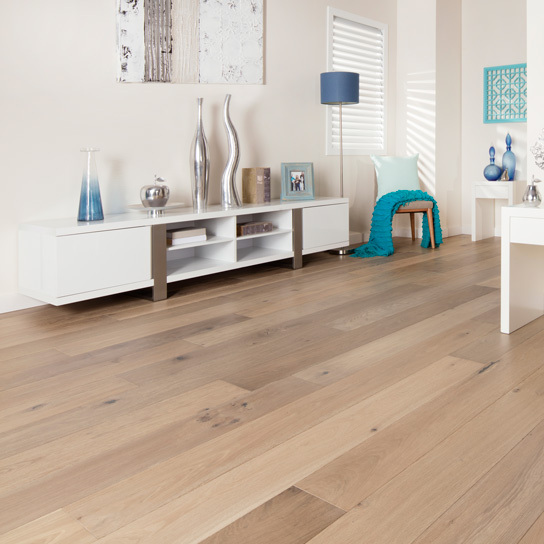 Although oak flooring is easy to clean, you have to be careful with moisture and dirt. 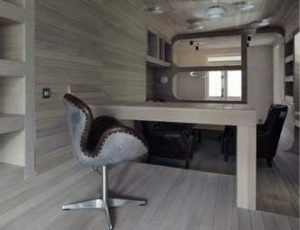 Water and dirt scratches can destroy its finishes and its appearance. There’s no guarantee that over time the odd scratch won’t appear, but you can offer it some protection from major damage. With proper cleaning methods and protection, your floor will last for years. Vacuum clean or sweep your oak floor every day using a high-quality hard-floor attachment with a soft brush to remove dirt and dust. When necessary, use a damp cloth. This will keep the floor dust free and remove any potentially damaging dirt or grit. Ensure only the brush comes into contact with the floor surface. Remove crumbs and other spillages as soon as possible with a rechargeable electric broom. It will save you having to get out your larger vacuum every time you have to remove debris from the floor. Never scrub with steel wool or any other coarse material as this may have a negative effect on the appearance and structure. Once again, ensure only the brush comes into contact with the floor. Scratches are the usual scars from daily wear and tear. Avoid scratches to your oak floor by fitting felt pads under chair and table legs which can cause dragging and scratching when moved. Avoid using wheeled swivel chairs on your oak floor as this will damage the surface of the flooring and produce indentation lines when the chair is moved across the floor. Floor mats are a wonderful thing when it comes to oak floors. Tiny particles, like dirt, can act like sandpaper and scratch your wood. By placing a floor mat at each entryway and encouraging family members and guests to wipe their feet, the majority of dirt and grime will remain on the mat. Also put a floor mat or rug in any area where water could be splashed — like near the kitchen sink. This will hinder any possible water damage. The importance of using suitable products to care for your oak floor cannot be over emphasised. When maintaining your oak floor, do not use harsh cleaning products like detergent, bleach or liquid soap which can harm the surface of your oak floor. 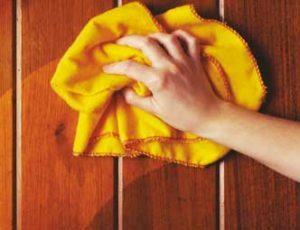 Use a professional hardwood-floor cleaner sprayed on a damp cloth to remove scuffs and heel marks. 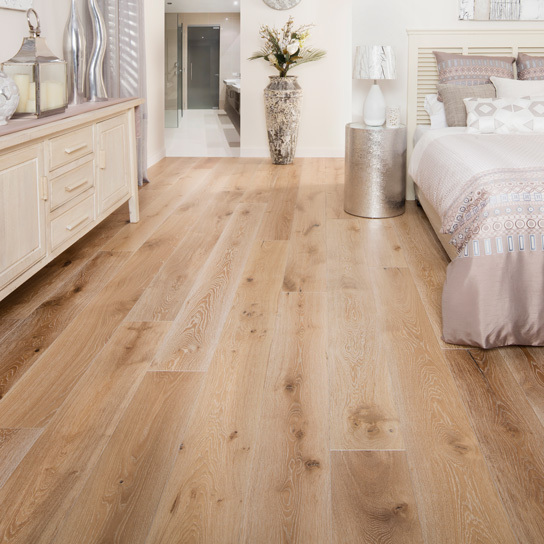 Over time, maintaining your oak floor can require more than regular maintenance, especially if it has become marked or damaged and you may decide refurbishing is required. It is always advisable to employ a professional to carry out this work. 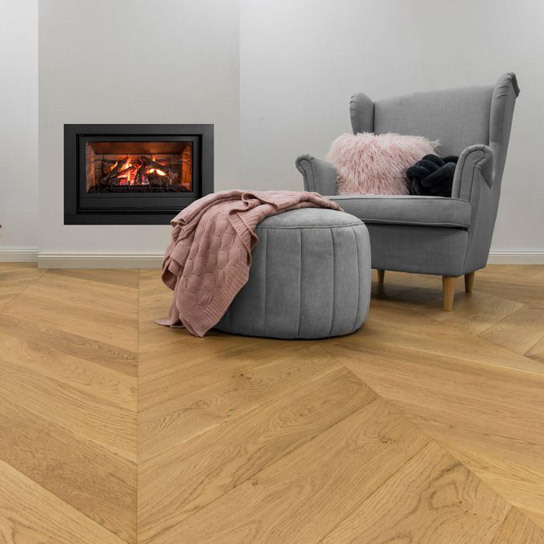 Your oak floor is one of the greatest investments you can make for your home, it will add beauty and value and remain stylish and enhance your decor in only a way real wood can. With careful and proper maintenance, your oak floor will look and stay the best it can for years to come. 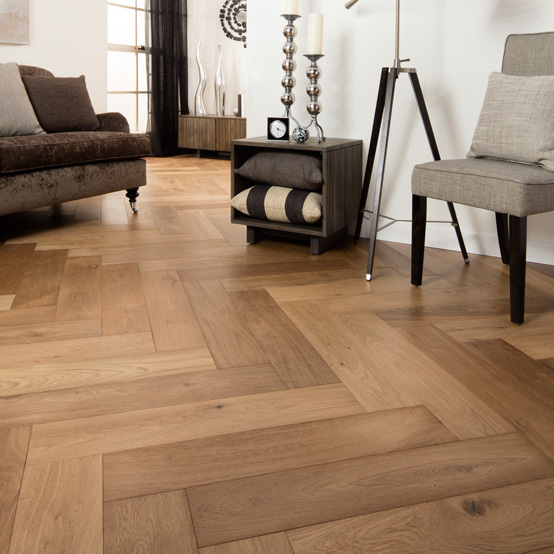 Love your oak floor and it will love you back ten-fold.